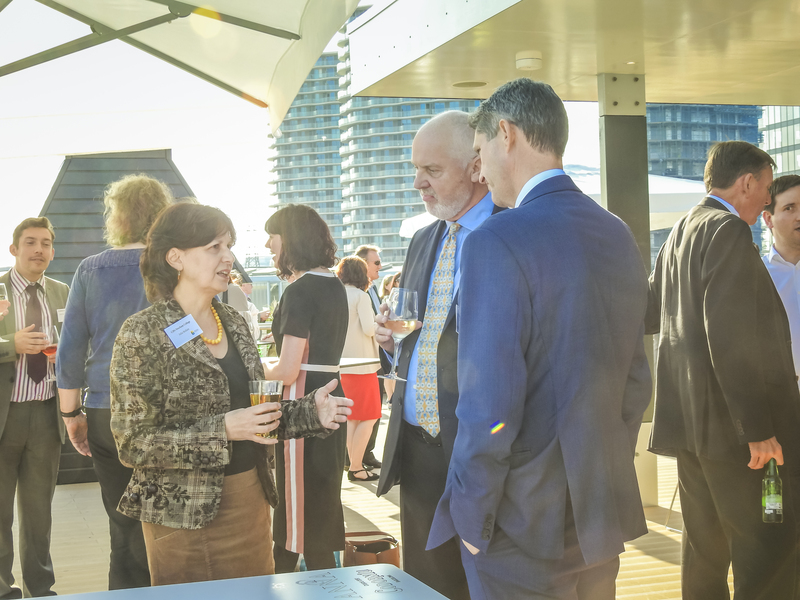 On Tuesday the 25th July, Building Legacies hosted its Summer Networking Event, the latest in our quarterly networking events which attract small businesses from across East London. We welcomed more than seventy small, medium and micro enterprises (SMMEs) in sectors ranging from consulting to carpentry and media production to marketing, meeting at the Good Hotel at Newham, London. The event was topped off with a keynote address from Sir Robin Wales, the Mayor of Newham, who spoke about the vast amounts of change that the borough, and its business landscape, have undergone over recent years. “London is marching eastwards. Newham has seen the biggest increase in employment and families coming out of poverty – not because we’re doing anybody any favours, but because we’re working together to transform those lives”. Newham has changed unrecognisably over the previous decades, and the arrival of Westfield Stratford City, London City Airport and the 2012 Olympic Games amongst other exciting developments have fast-tracked the borough into becoming one of the best places to do business. The event provided SMMEs and Social Enterprises from a diverse range of industries with the opportunity to connect and share knowledge and best practice. Alongside Sir Robin, we heard from Maureen Egbe, Owner and Founder of MCE Consult; Nat Wilson, Director of Fletcher Wilson; Anna Boss Sustainable Procurement Manager at London City Airport; and Mark Kass, CEO of Enterprise 4 Good. We want to say thank you to all who attended on the night. If you were unable to attend this time, be sure to keep an eye on our events page, which is regularly updated with new opportunities to meet buyers, suppliers and industry peers across a range of sectors. Be sure also to keep checking our blog, which is updated on a weekly basis with in-depth insight pieces and a round-up of the week in business. If you have any questions or would like further information about the range of support on offer in the Building Legacies Programme, or want to find out more about attending future events, please contact Danny Hackett on info@buildinglegacies.co.uk or call the office on 020 7537 6480.